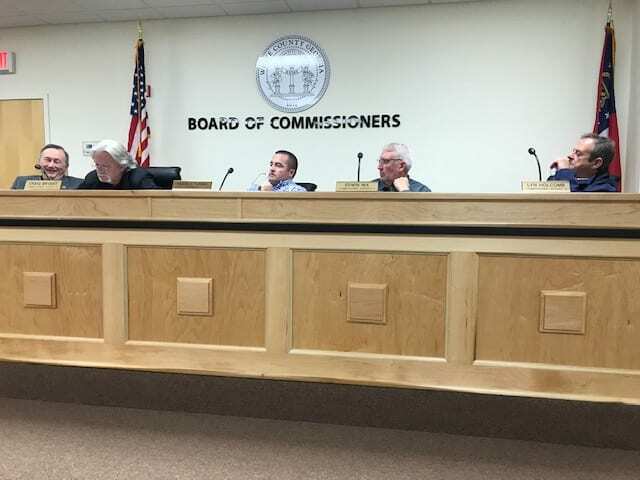 DAWSONVILLE, Ga. – The White County Board of Commissioners will hold a series of public hearings and discuss several service contracts when it meets in a combined work session and called meeting Monday (Apr. 22) at 4:30 p.m.
Public hearings to be held include a land use application filed by Josh Garrison on behalf of HG Acquisitions to redistrict 179 acres at 1036 Duncan Bridge Road in Saute Nacoochee from A-1 Agriculture Forestry District to R-1 Residential Family District; Gary Hosemann’s application to redistrict 8.28 acres at 4623 Hwy. 254 in Cleveland from C-1 Community Commercial to A-1 Agriculture Forestry District and Kelli Withrow’s application to redistrict .50 acres at 2416 Westmoreland Road in Cleveland from R-1 Residential Single-Family District to R-3 Residential District (Seasonal). 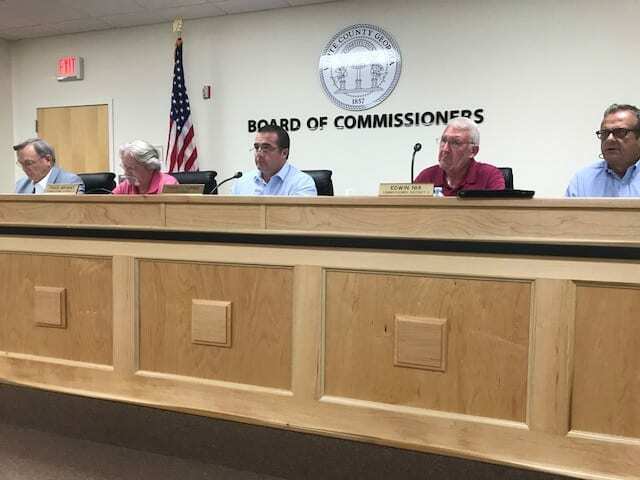 Commissioners will discuss a proposal for landscape services with ACS Landscape Management at Yonah Preserve Ballfield Complex and a proposal for architectural services with BCA Studios for the courthouse entryway and sally port renovation project. 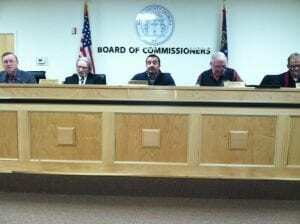 Consideration of the adoption of a fee resolution for the White County Alcohol Ordinance. CLEVELAND, Ga. – The White County Board of Commissioners will conduct two public hearings during the combined work session and regular meeting scheduled for Monday, Feb. 4 at 4:30 p.m.
Jesse Darin Knaus has requested a land use application to redistrict 3.76 acres located at 252 Garland Bristol Road in Sautee Nachochee from Community Commercial District (C-1) to Residential single family district (R-1). Judith Tolhurst has requested a conditional use permit to redistrict 4.5 acres located at 515 Tolhurst Road in Cleveland from residential single-family district to enter the vacation rental by owner program. A presentation of the monthly financial status report. CLEVELAND, Ga. — The White County Board of Commissioners unanimously rejected a request by Mark Byrd to redistrict 3.056 acres of land at 36 Cannon Road from C1 Community Commercial District to C2 Highway Business District after hearing strong objection from Pat Cannon, whose family has owned much of the surrounding property for years. Commissioners did approve zoning the front 1.82 acres of Byrd’s land from C2 to C1, which is what they say it should have been from the beginning. Byrd requested the redistricting to accommodate expansion of his mini-storage business. Appointment of Chairman Travis Turner as the county’s voting delegate to the ACCG Legislative Leadership Conference. A request by the Northeast Georgia Veterans Society to fund and erect a statute of the late Private Rondall Glaze was withdrawn and a request by Sheriff Neal Walden to present information on recommended improvements to the county courthouse was postponed.